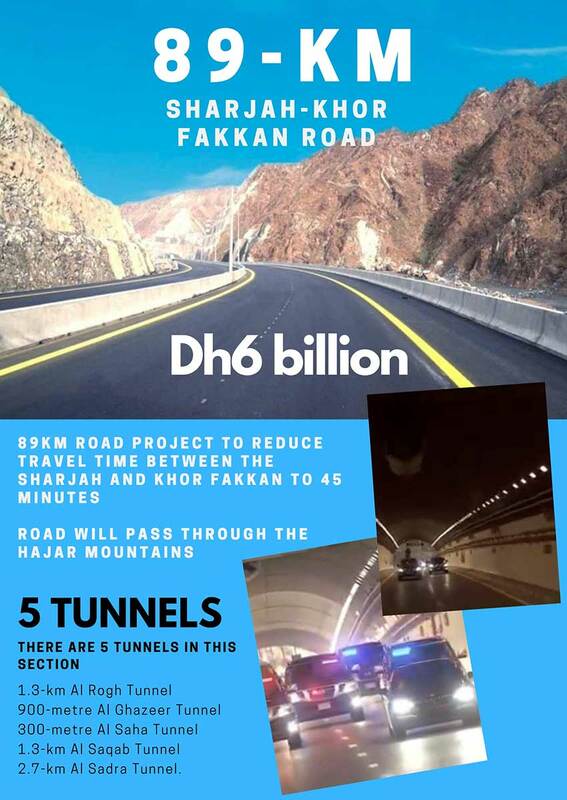 Khor Fakkan: It’s not just a road. The infrastructure project inaugurated by His Highness Dr Shaikh Sultan Bin Mohammad Al Qasimi, Ruler of Sharjah, in Khor Fakkan on Saturday goes far beyond that. 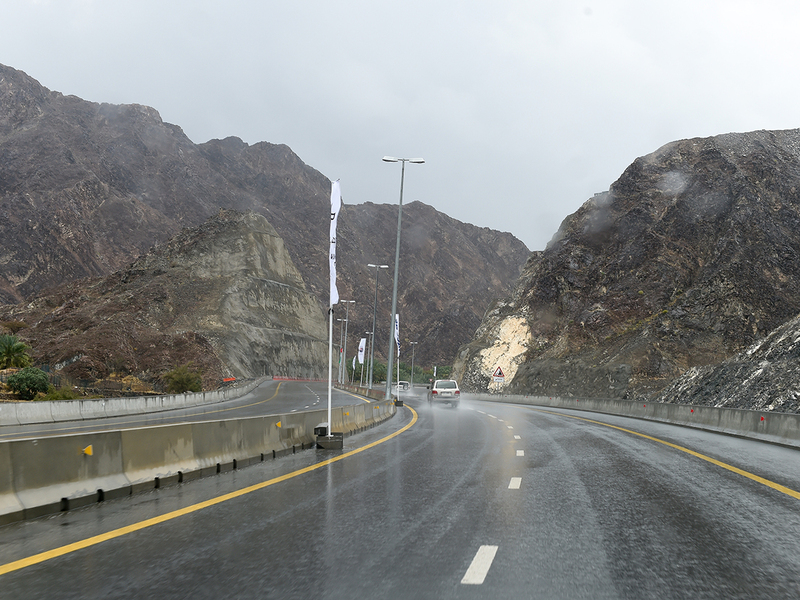 The 89-km road, which reduces the travel time between Sharjah and Khor Fakkan to 45 minutes from 90 minutes, is another phase in the development of the east coast. 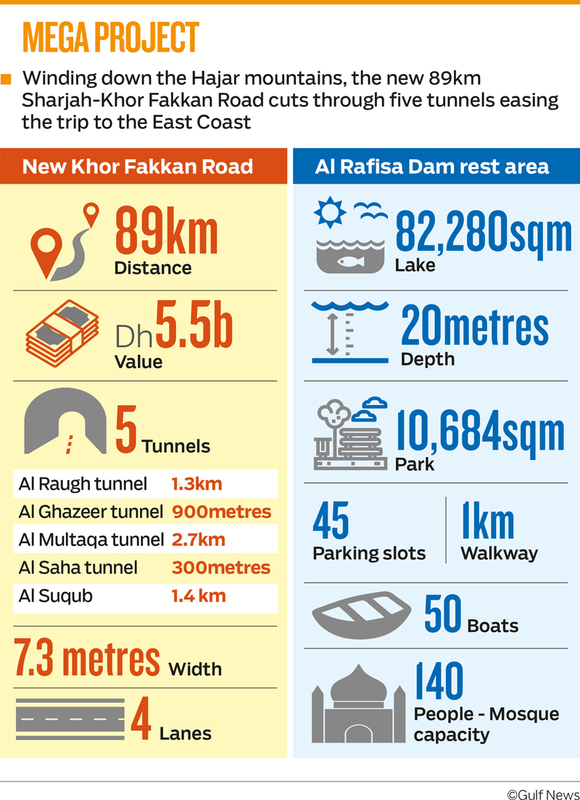 The Dh6-billion project, which includes five tunnels, restored historic forts and landmarks, will have a far-reaching impact on the coastal town, known as The Bride of the Eastern Coast. A section of the 89-km road. 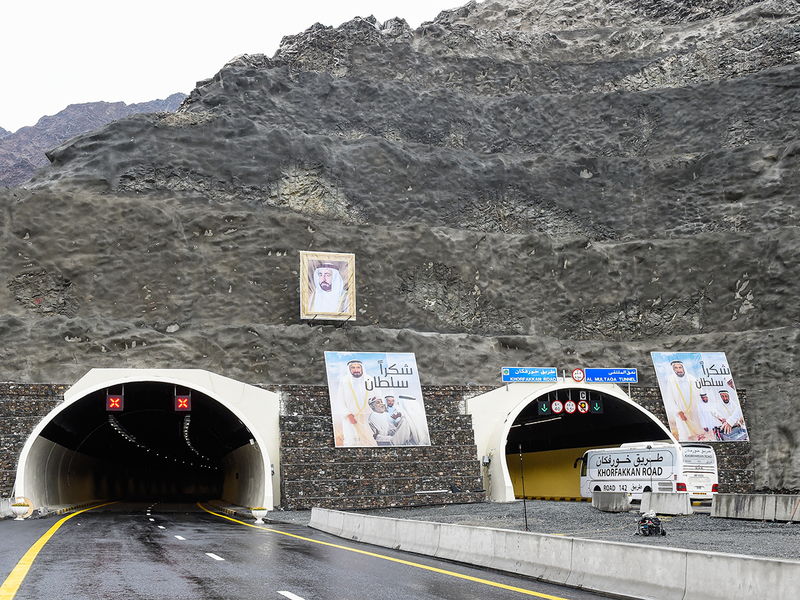 This new road, including 5 tunnels, reduces the travel time between Sharjah and Khor Fakkan to 45 minutes from 90 minutes. It will make Khor Fakkan for ever closer to the rest of the country and allow residents and tourists to come and enjoy the amazing scenery and magnificent beaches of the historic town. Its economic impact will certainly be felt in the short term, especially when the ongoing tourist projects on its beautiful corniche are completed. 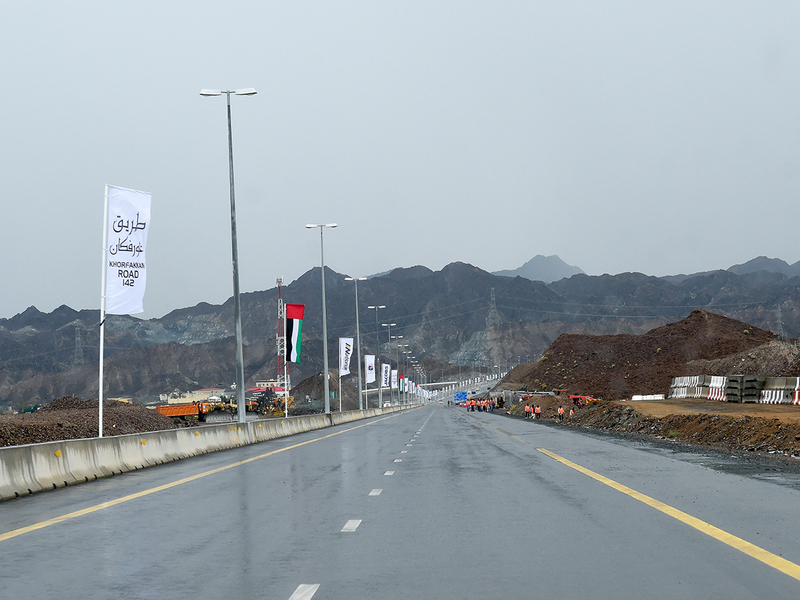 The story of this road actually goes back to more than a decade, Shaikh Sultan said last year when he inaugurated the project. The mountain, which for centuries prevented the extension of any road to Khor Fakkan, “has always been defiant, as if it was challenging me, for the last 10 years. I decided to take on that challenge,” he added. The challenge has been won. Khor Fakkan yesterday celebrated what can easily be considered as the largest project in its history. A forward-looking project that will change the town — and the east coast forever. The project, which also includes restored historic forts and landmarks, leads to another phase in the development of the UAE's east coast.